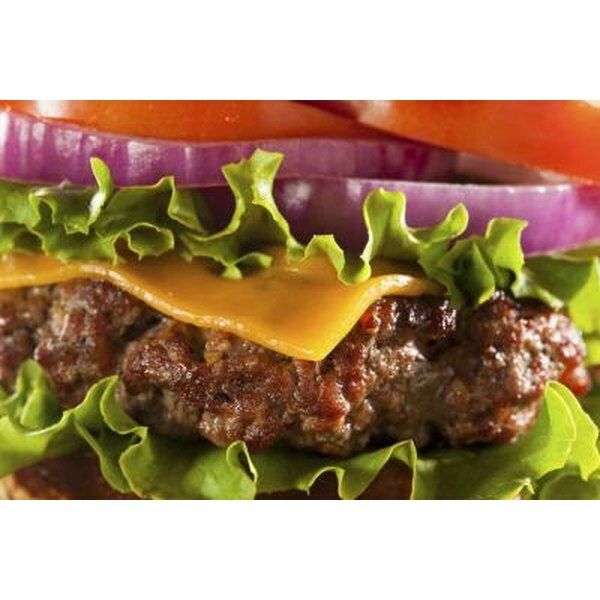 Close up of hamburger; American cheese is a popular topping choice. American cheese is a pasteurized, processed cheese product often made from one or more types of cheeses such as cheddar or colby. The cheese is blended with other ingredients to produce a mild tasting and smooth cheese that melts well. A single slice of American cheese weighs 28 grams. Approximately 7 grams of that slice is fat, 5.5 grams is protein and 2 grams is carbohydrate, the U.S. Department of Agriculture reports. The rest consists of other nutrients and water. According to the USDA, a single slice of American cheese contains 95 calories. Fats provide around 72 of those calories within the serving, while proteins deliver 15 calories and carbohydrates offer 8 calories. A single slice of American cheese can serve as 5 percent of the total daily caloric intake recommended for the average adult, based on an average 2,000-calorie daily diet. 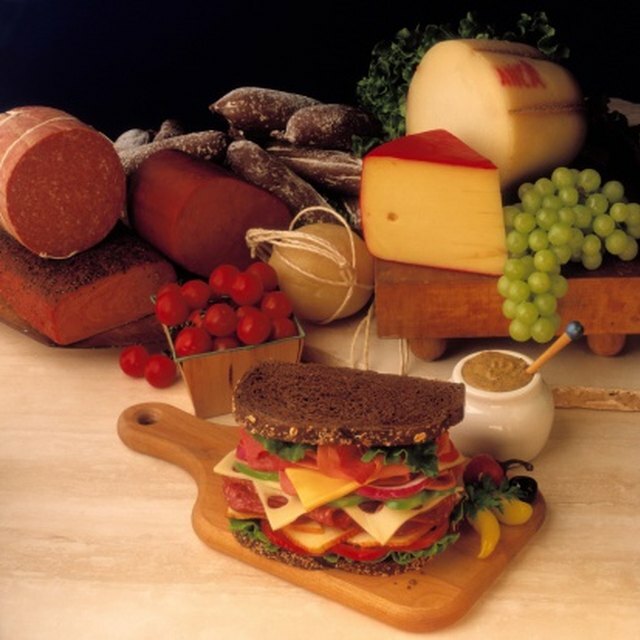 American cheese also provides several dietary minerals, including phosphorus, calcium, selenium and zinc. Important vitamins including riboflavin, vitamin A and vitamin B12 are also available from American cheese.